We offer quality Mica Band Heaters, Mica Heaters and Energy Saving Heaters that are manufactured using brass, stainless steel and mild steel. These are available in premium, economy & power saving options as per the requirements of our clients. Further, our heaters find wide application in injection molding, film extruders and all plastic & rubber processing machinery. We also offer customization as per the requirements of our clients. 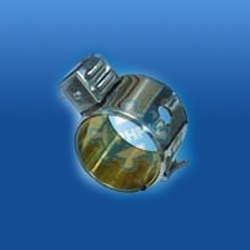 PHP Mica Band heaters are available with energy saving options in various sheathing materials. The mica band heaters offered by us are appreciated for their features such as high thermal resistance, durable, energy efficient and excellent thermal conductivity & dielectric strength. These find wide application in blow molding, injection molding, film extruders and all plastic & rubber processing machinery. We also offer customization as per the requirements of our clients. Available in Eco-Heat, Power Saver & Power Saver Plus Construction options.